Diana is an amateur triathlete who has competed in nine World Championships for Team USA in Triathlon, Duathlon, & Aquathlon. 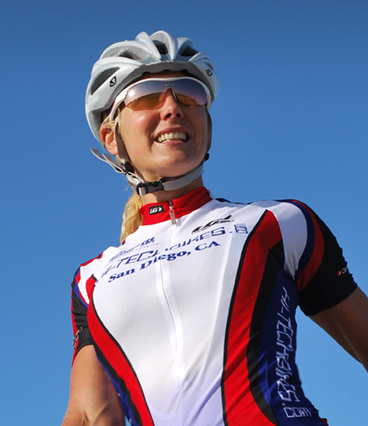 She has a Sports Nutrition and Personal Trainer Certification and 9 years of sports nutrition knowledge gained during her extensive participation in endurance sports and competition. She also has a background in gymnastics and dance and enjoys her practice in hot yoga. Reformed from her East Coast, “big city” life, Diana moved to La Jolla, California in November of 2006. She now enjoys living a healthy, organic life style and hopes to proliferate and share her ideas on living as an Organitarian. We’ll be following you throughout your journey and keeping you in our prayers. What an amazing journey this will be! Good luck Diana! I look forward to reading about your adventures in the saddle! The Organic Dark Chocolate with raisins & pecans looks Yummy!!! Hi. It has been a while eh? Great to see what you are doing out there! Good luck on your trek! Hey Tim!!! Great to hear from you! Thanks. I hope all is well! Where are you living these days? It’s great to see people like Diana doing such great work. Also very impressive how much she can fit in her plate.